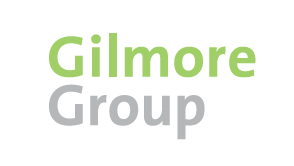 Gilmore Group is a multidisciplinary design and branding firm headquartered in New York City, with offices in Dubai and Buenos Aires. We are guided by the core belief that a successful brand is experienced holistically, and therefore needs to be created through intelligent brand strategy, innovative design, and the use of leading edge technology. Our approach requires agility, knowledge, and expertise. Our consultancy specializes in brand strategy, corporate identity, experiential branding, marketing, digital content, retail design, product and packaging, architecture, and engineering.